After recording episode 137, there were things that were left unsaid, and Kitteh wanted to say them. Welcome to the Addendumb-dumb to 137, brought to you by a couple idiots with microphones. Holy tangent Batman! The Knights tried to talk about their experience seeing their Flick Pick Raiders of the Lost Ark at Irvine Meadows with Pacific Symphony playing the score live, but instead they launched off into a massive tangent that started with Kitteh being pissed at not being able to find out information about Jaws on the beach. Ceebs enjoyed the bad parenting a bit too much while Kat had a very unmotivated day, but then there’s the tubes, oh the tubes. Kitteh gets back in touch with his artistic side and pushes Ceebs’ buttons. Ceebs shares a couple stories about how she stepped out of her comfort zone and gets shut down, got emo about the Olympics, and freaked out at the movie theater. The Flick Pick of the week is Suicide Squad and both Knights agree that they didn’t hate it, but they didn’t didn’t hate it as well. Happy Birthday Ryan! 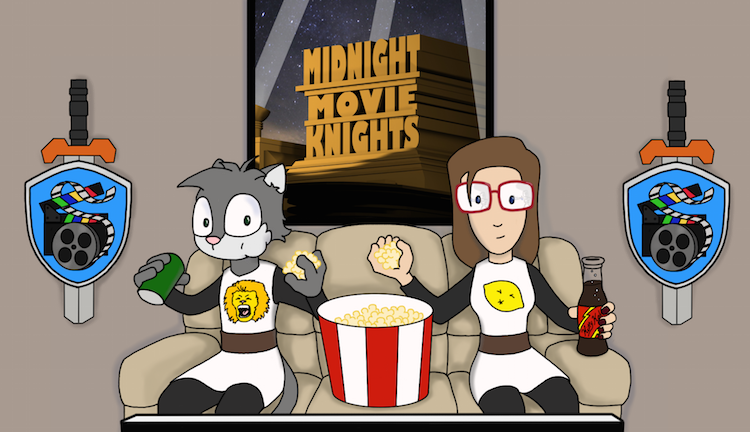 The Knights return for a longer episode where they get a little heavier on what is going on in their lives before moving on to chatting about their Flick Pick. It all starts with the tale of breakfast adventure where the Knights enjoy the local fare like uneven blueberry muffins, odd gravy and a big biscuit. Kitteh shares a story about the overnight manager that he unaffectionately calls Douche Monkey. Ceebs shares a story about an argument that interrupted her meditation, but it’s ok because she is excited about a friendship that blossomed with the return of Wine Wednesday. Ceebs also shares how she is being more active by biking to work, which is great because she’s seeking alternate transporation options. Audio issues plague the episode, but the Knights soldier on and eventually get to talking about Cast Away, their very heavy Flick Pick for the week. In their latest audio adventure, the Knights go to the symphony, but first they had to have a fight which Kitteh didn’t even notice. It’s a week without a Flick Pick, so the Knights focused on their experiences in the last 24 hours instead.